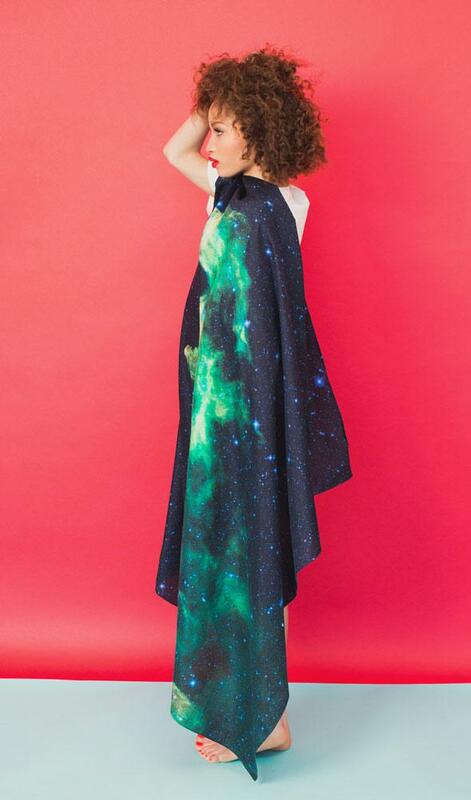 Cosmic scarves: Slow Factory makes wearable astronomical art. 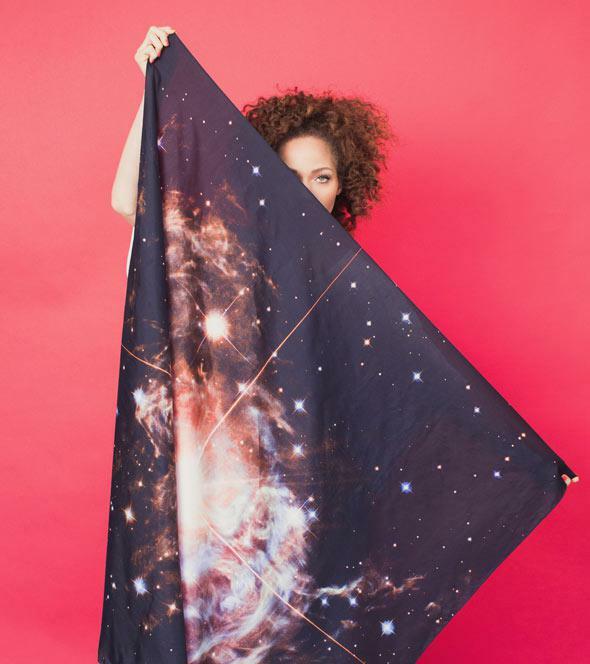 I have occasionally written about clothing based on astronomical images, and I have to say, Slow Factory knocked it out of the park with its line of spacey silk scarves. They took images from Hubble and WISE and created really beautiful stuff. The Witch Head nebula is actually a very large nebula in Orion, and the WISE image of it is a personal favorite of mine. This will keep polycyclic aromatic compounds off your neck. I’ve been meaning to write about this nebula; it’s a cloud of gas and dust reflecting the light from the massive and luminous star RS Puppis. I actually have some notes on it sitting on my desktop. Maybe this’ll motivate me to actually write them up! The company has several other scarves for sale using space imagery, including some taken of Earth using the Terra satellite. These really are very cool, if a tad pricey. Of course, you can always make constellation scarves yourself if you want. Or find geeky patterns for other do-it-yourself crafts. Or, if you’re really minimalist, I have you covered there too. But Slow Factory has its heart in the right place, and one of the reasons these scarves exist is due to the company owner being inspired by NASA. I’m all for that! And how can I not love a company that has this image on their site?